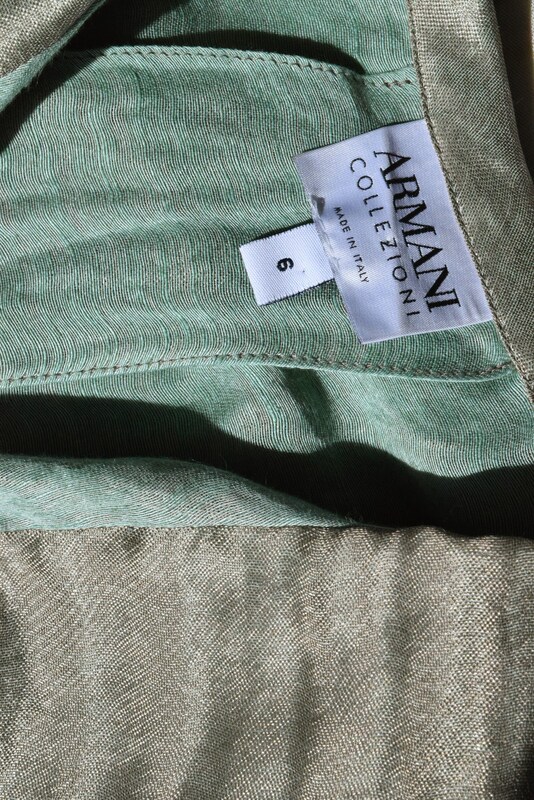 Armani blazer-style blouse in a deep metallic olive green. 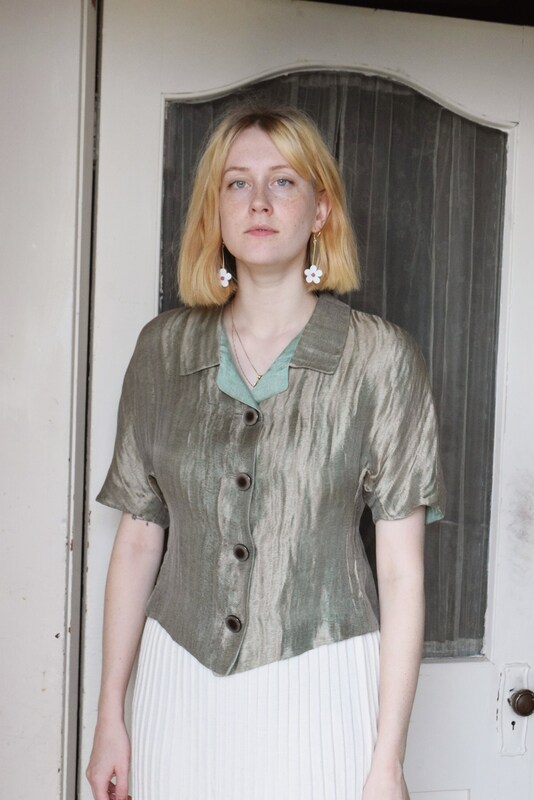 Garment has short sleeves, oversized buttons up front, a wide collar. Fitted through waist with a cut that dips down in the front. 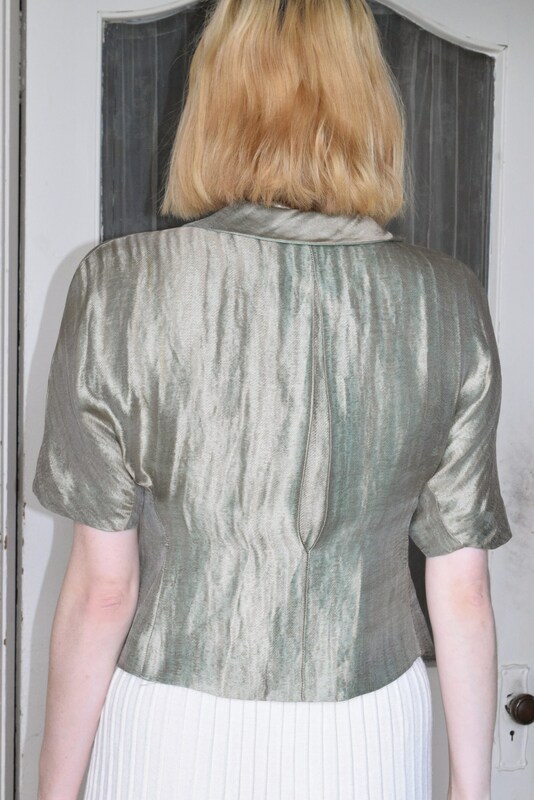 Garment is lined in a light green that peeks out at collar. Shoulder width 18" || Sleeve length 11" || Bust 38" || Waist 32" || Length from back of neck 22"